Strong advances growth in second half, coupled with outstanding deposit acquisition. Johannesburg, 6 September 2018 – FNB produced excellent results against the backdrop of a tough economy, building on its consistent strategy of cross-sell of products and services into its existing customer base. New to bank sales reached record levels in our key channels with customer numbers now above 8.15 million. “Our digital journey, particularly FNB App, usage again experienced excellent growth with financial transactions up 65%. 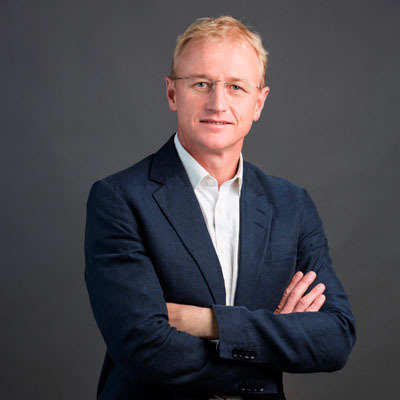 We were also delighted with progress in digital fulfilment where significant strides were made on both onboarding and leveraging cross-sell opportunities, and the bank will continue to invest in future technology projects,” says Jacques Celliers, FNB CEO. The cash migration strategy continues with activities moving from branch to ADT and cash centre to SmartBox technology. The branch capacity has been successfully leveraged producing record sales for the period. Contributions from Retail and Commercial banking saw domestic profitability lift by 16% while the effort in creating scale in Insurance and Investment offerings show potential for growth opportunities. The Retail segment profits climbed by 18% with Commercial also up a healthy 12%. Retail saw excellent contributions from all client facing businesses with card, loans, residential mortgages, transactional and cash investments contributing double digit growth. Lending businesses benefitted from targeted advances growth and an improved ability to deliver their products through our digital platform. Advances growth was largely contained to the existing client base and we expect this trend to continue into the new year. Bad debt performance was again a key focus area. Excellent collections and targeted advances growth resulted in impairments drifting lower in the domestic portfolio. Commercial growth was buoyed by gains made in the key transactional business coupled with advances growth across targeted portfolios, particularly within property and agriculture. Deposit growth remained robust and FNB is now the leading retail deposit taker in the domestic market. This growth has come from both product and channel innovation which facilitates ease of use supported by compelling rates. Commercial deposits were again up 7% which is an excellent result given the existing high base. FNB transactional volumes in debit card and credit card remained industry leading with total transaction volumes up 10% in the period. FNB Rest of Africa profits were lower in the face of tough macro-economic conditions. Our client centric approach has produced dividends within FNB across our key segments in both Retail and Business banking environments. Client product take-up, has improved to 2.97 from 2.83 at June 2017. Insurance activities again produced excellent revenue growth with the policy numbers reaching 3.7 million and recurring premiums (APE) growing 35%. In terms of our investment in both community and small business, we were delighted to see eWallet send values grow to over R21 billion with almost 900,000 monthly senders using the facility. On the small business front, unsecured facilities to the SME’s grew to R17bn up 13% during the period. “We are grateful to our stakeholders, particularly our staff who have again delivered on our helpfulness promise. The year ahead will see increased competition and we will further leverage our digital and client centric strategies to enable class leading growth,” concludes Mr Celliers.